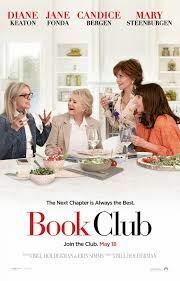 Four longtime friends and book club members have their lives upended when they aim to spice up their mundane routines by reading the provocative bestseller Fifty Shades of Grey. With newfound confidence, they each begin to come alive as exciting romances are ignited and old flames are rekindled. Through it all, the ladies inspire one another to make this next stage of their lives the best and steamiest thus far.